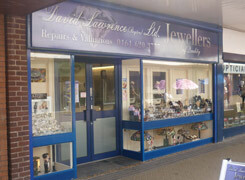 David lawrence is Roytons Premier Jeweller, situated in the centre of Royton. All of our customers are seen to by friendly and helpful staff whos goal it is to help find you that perfect gift. We stock a large range of jewellery and also offer many other related services such as jewellery and watch repairs. 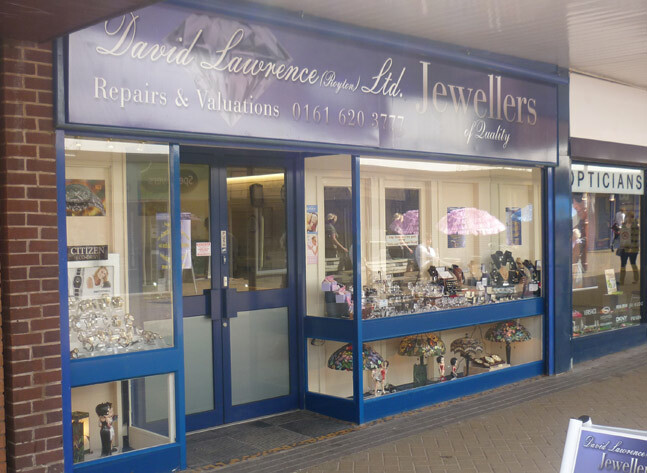 David Lawrence is situated on Royton Preceint in Oldham, Greater Manchester. Please use our contact page for further infomation on how to locate and contact us.